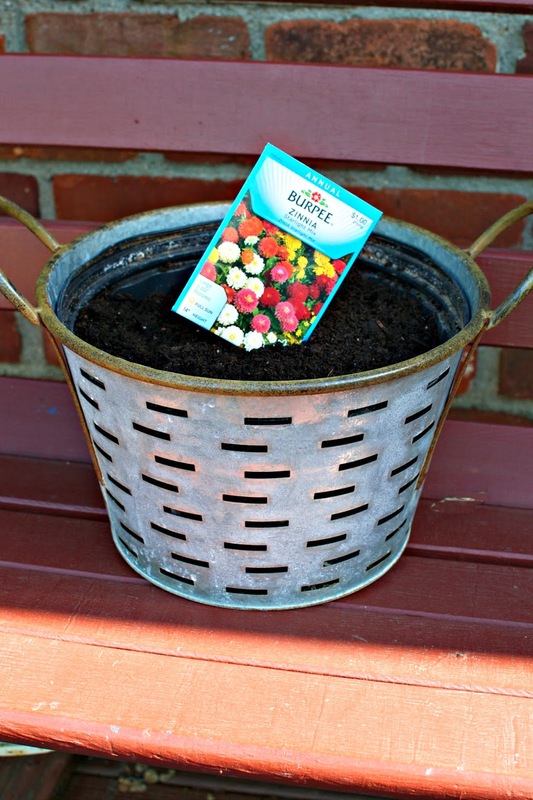 As promised, I'm back with some tips and tricks about using seeds not only to enhance the looks of your containers but also your flowerbeds. A few years ago I was desperate to add some height to some of my flower beds. The only climbing perennial I was familiar with at the time was the clematis, so I sped off to the local nursery and bought a couple. After I planted them, I stood by and watched as they thrived barely grew at all. After one whole summer, they were still so tiny. The next summer, I anxiously awaited to see how large they would come back. To my dismay, they were still so piddly! That's when I started researching and discovered that many perennial vines can take years to establish and grow. During that research I stumbled across an article about annual vines that can be grown easily from seed and offer fast growth for the season. 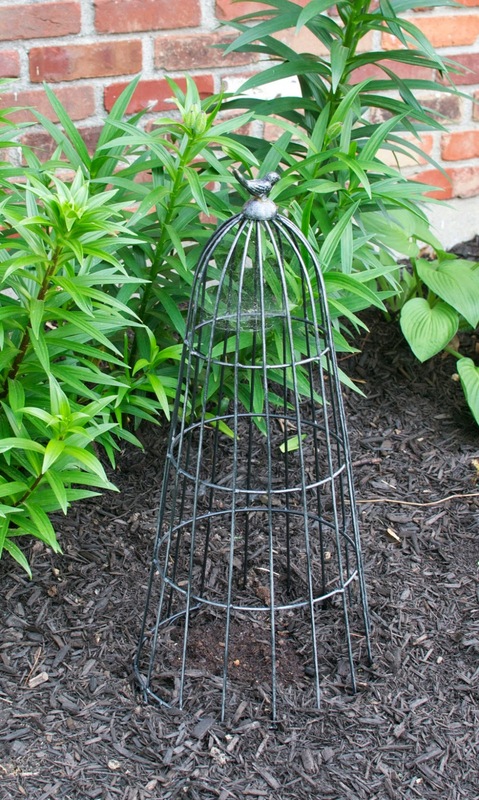 Since that time, I've used a mix of these seeds on trellises, in flowerbeds for added height, and in my containers. I've had great luck with several, so I thought I'd share here. 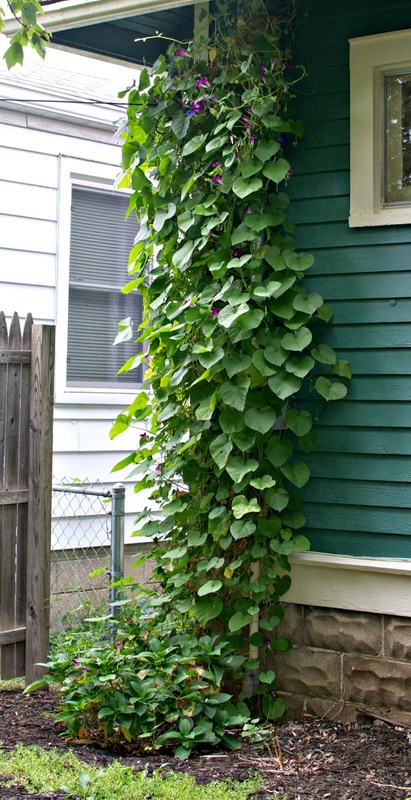 One of the easiest annual vines to grow from seed is the Morning Glory. 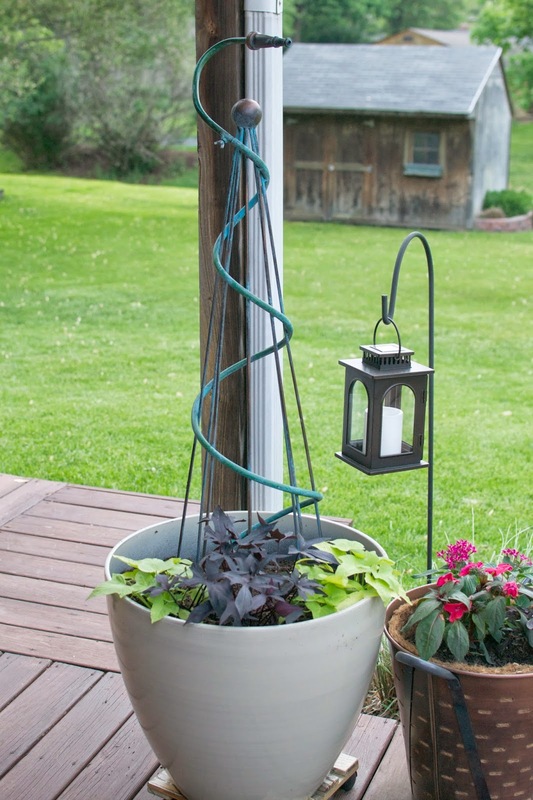 This plant grows incredibly fast and also comes in a variety of colors. This seed also does really well using the direct sow method (i.e. placing right into the soil as opposed to starting early indoors). 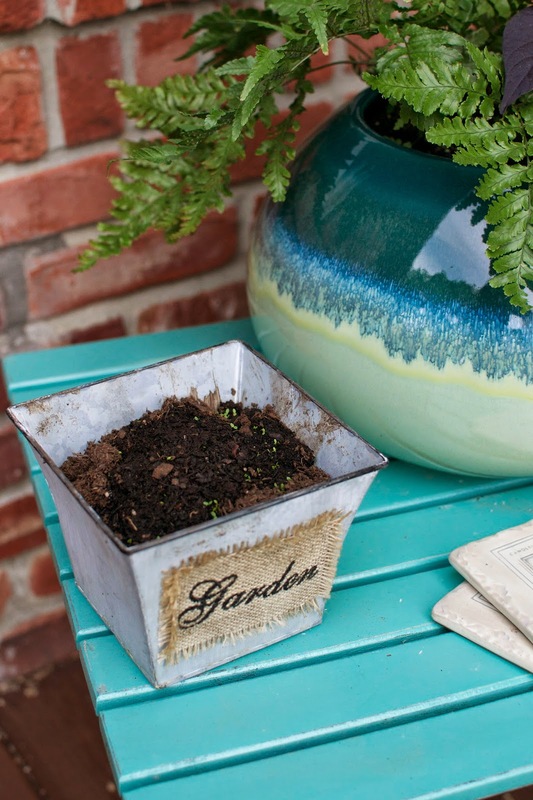 Be sure to soak the seeds overnight before planting as it aids in germination. Also, I've found that Morning Glory does best in part sun. It thrives in the morning/early afternoon sun and enjoys a break from the hot afternoon sun, at least for me. but I want to note that I never fertilized this one (see how little it is??). adds some interest and height against an otherwise drab background. 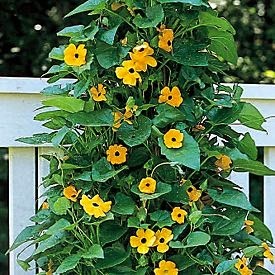 Another one of my favorite annual vines is the Black Eyed Susan Vine. This little guy grows incredibly quickly and is literally the cutest. Literally. This guy also thrives in hot sun, so it's a nice change from the Morning Glory. 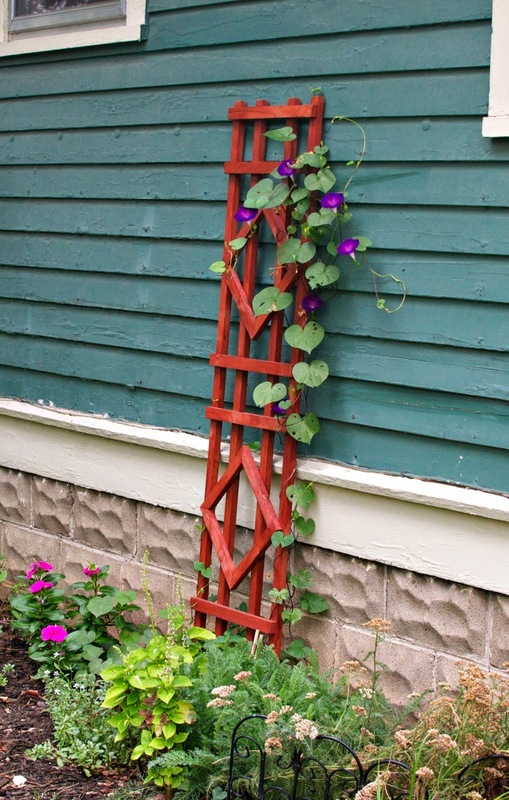 The foliage is also smaller than the Morning Glory, which is nice if you are using the plant on a trellis with some character that you want to show through the leaves. pictures leave quite a bit to be desired. In addition to using annual vines in and around my yard, I also love using zinnia seeds and alyssum. Both grow incredibly well from seed. They also provide a nice option to fill in remaining empty areas of your flowerbeds after you've maxed out your flower budget (not that that's ever happened to me....). Zinnias come in a lot of varieties. 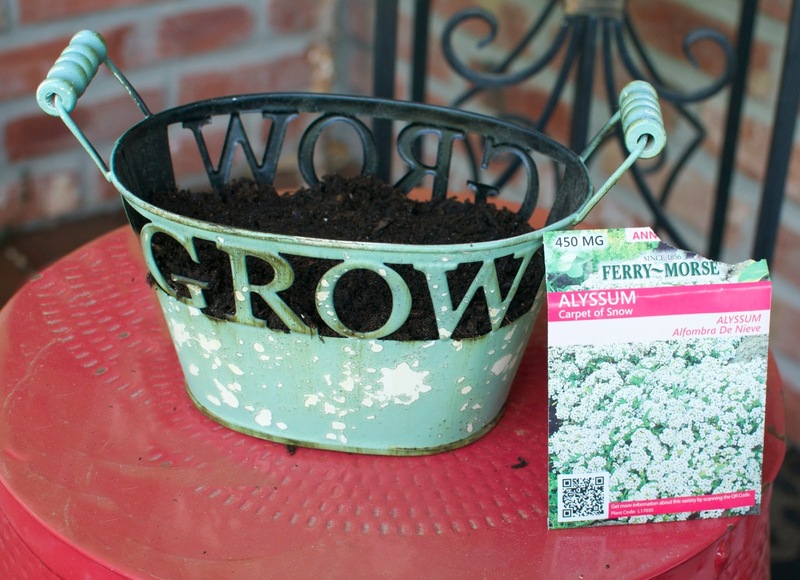 My favorite to use in my flowerbeds is the dwarf variety that grows between 15 and 18 inches. Other Zinnia varieties can grow upwards of 3 to 4 feet, so you have to be careful with placement. afters that show the actual flowers. Novel concept for a gardening post. 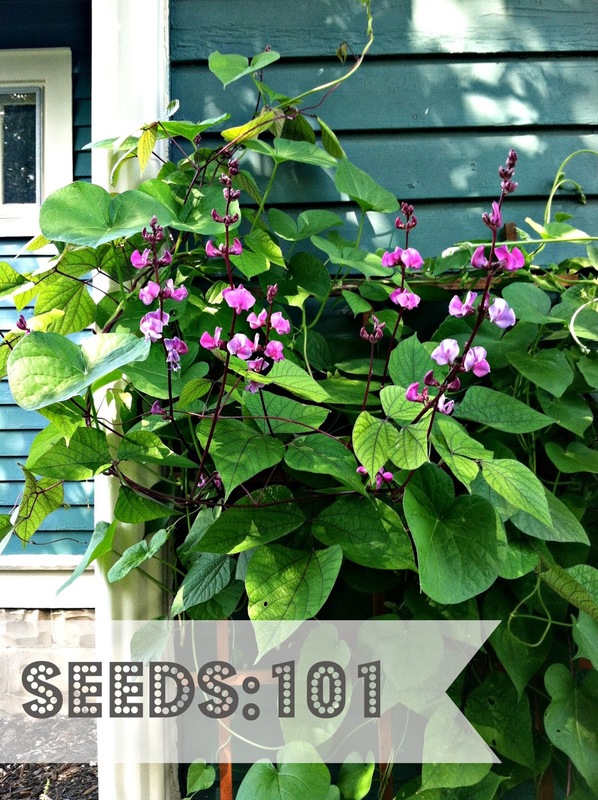 I hope this quick blog post gives you some ideas on how seeds can add some cheap flowers to your yard and planters. I will warn, however, that if you stray from anything on this "expert" list (ha!) be sure to do a little research first. You know that nice seed display at Lowe's? Yea, more than half of those are extremely difficult to grow from seed....i.e. require early starting indoors with plant lamps, constant care, etc. Pretty frustrating, which is why I stick to varieties known to be fool-proof. Maybe one of these days I'll get brave. Best of luck, and happy planting.